Though I have not been posting, I am still knitting. After my last post, Bike Man was diagnosed with macular degeneration in his left eye. This was followed by the decision to retire, finding a place to live in another town, then moving. There have been many adjustments and some are still ongoing. I promise I will re-enter the world of blogging soon along with pictures to show my progress. 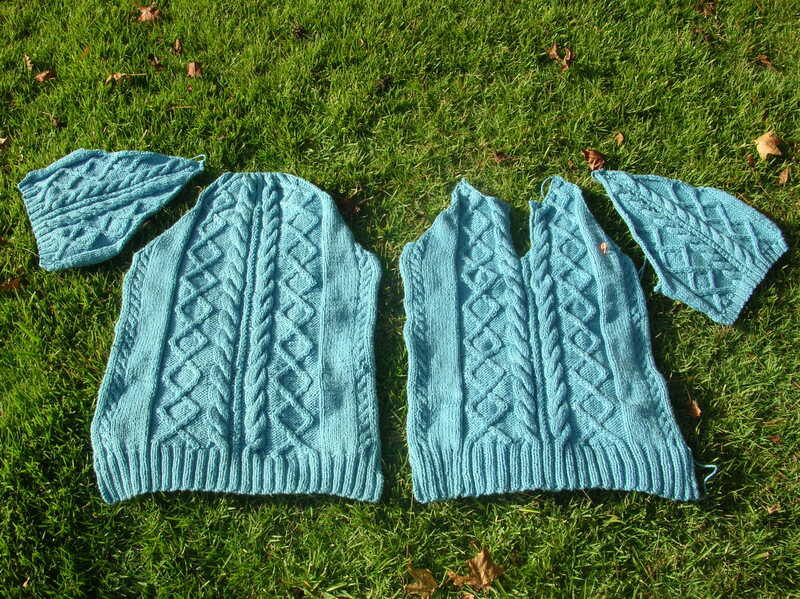 Below is the Valpuri Sweater from Berroco I need to block and construct, now that it has been finished for four months! The yarn is a cotton-silk blend and I added extra cables down the sides, front and back, to slow down the growth I expect from the cotton. ← Live Oak Shawlette Is Finished! I nominated you for a Leibster Award. Read all about it in my blog post today. Those cables are so beautiful! Thanks for reading and commenting. Hi, I tripped over you on another blog… glad to have it lead here ! Lovely sweater you are making ! Another beautiful sweater. Glad to hear you will still be blogging.